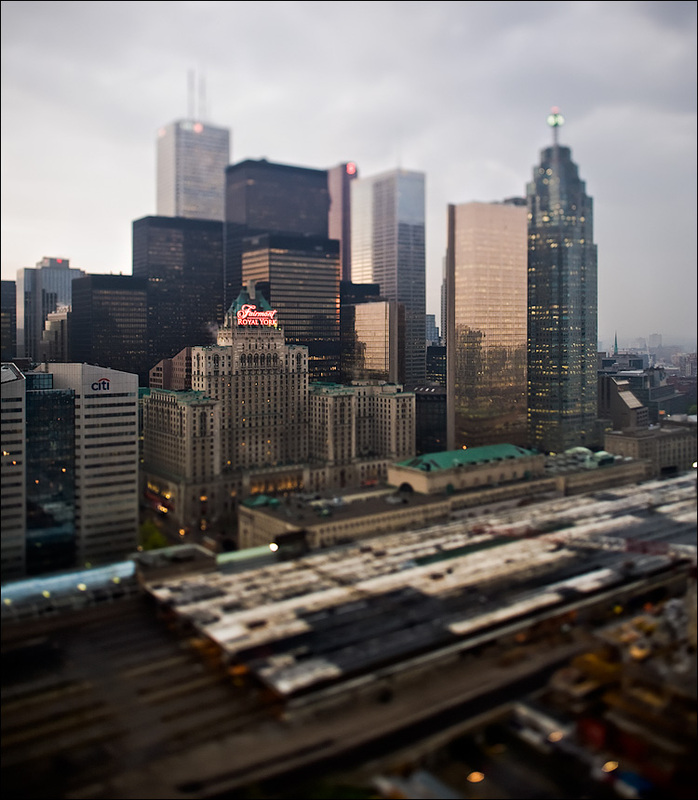 Royal York Fairmont Hotel and Toronto's downtown core seen through a (rented) tilt-shift lens. Update: This photo is taken from the balcony of a thirty something floor of a residential building. My friends Andia and Reza moved there recently and they have the craziest view, so lucky for me.